Press and hold the Home button until the Voice Control screen appears. The screen displays wavy lines that move as you speak. Scrolling in the background are some of the commands you can say out loud (Play Artist, Previous Track, and so on). Don’t blurt out anything until you hear a quick double-beep. The iPhone will repeat the command it thinks it heard. Press and hold the center button on the wired headset. Once again, wait for an audible cue and then tell the iPhone what you have in mind. Voice Control works quite nicely with the wired headset included with your iPhone. It works also with some Bluetooth headsets and car kits. If you use a wireless headset that’s not supported, you’ll have to hold the phone up to your lips if you want it to respond to voice commands. You definitely want to wait for voice confirmation after you’ve spoken. Voice Control isn’t perfect, especially in a noisy environment. So if you’re dialing a name or number, make sure the iPhone is indeed calling the person you had in mind. There’s no telling what kind of trouble you might get into otherwise. Wait for the tone and speak clearly, especially if you’re in a noisy environment. You can dial by number, as in “Dial 202-555-1212.” You can dial a name, as in “Call Bob LeVitus” or “Dial Ed Baig.” Or you can be a tad more specific, as in “Dial Bob LeVitus mobile” or “Call Ed Baig home.” Before actually dialing the phone, an automated female voice repeats what she thinks she heard. If the person you’re calling has multiple phone numbers and you fail to specify which one, the female voice will prompt you, “Ed Baig, home, mobile, or work?” Tell her which one to use, or say “Cancel” if you decide not to call or she offers the wrong name. 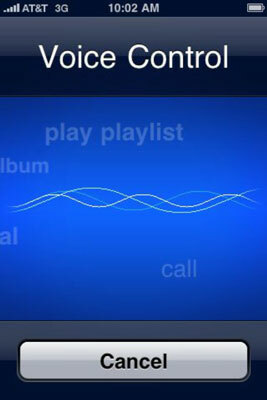 When the Voice Control screen appears, let go of the Home button before speaking a command. Otherwise, your thumb may cover the microphone, making it more difficult for the iPhone to understand your intent. Voice Control need not be in Americanized English. From the Home screen, tap Settings→General→International→Voice Control. Then choose from nearly two dozen language options in the list. Choices include Australian English and English as spoken in the U.K., and versions of Chinese customized for Cantonese and Taiwan.